Would you fire an employee for having a hearing aid? What about alcohol addiction? Addictions are considered ‘disabilities’ under the Ontario Human Rights Code (OHRC) and are therefore afforded the same protections under the law as physical and mental disabilities. Accordingly, the Code prohibits employment discrimination against people with drug and/or alcohol addiction(s) and requires employers to accommodate employees with addictions to the point of undue hardship. 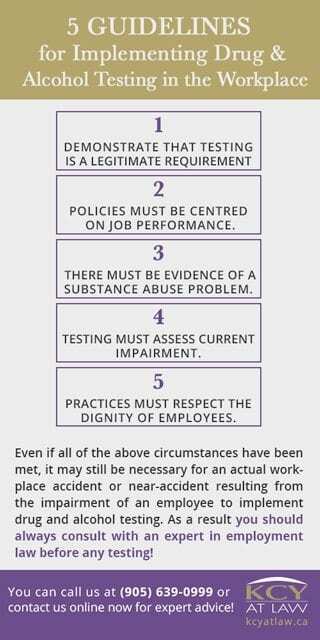 Several landmark trials as well as decades of case law have established that workplace drug and alcohol testing generally amount to discrimination. However, there are some unique circumstances in which discrimination may be justified. The OHRC recognizes that workplace safety is a legitimate goal and that, given certain circumstances, impairment from drug or alcohol dependency can render a workplace unsafe. The rare cases of acceptable drug and alcohol discriminatory practices usually involve industrial workplaces such as oil rigs and construction sites where sharp mental acuity is necessary to avoid serious workplace accidents. Legal precedents for limiting discrimination on the basis of addictions were set out in Entrop v Imperial Oil Ltd. (2000) and Irving Pulp v Local 30 (2013) among other cases. In Entrop v. Imperial Oil, Imperial Oil implemented a random drug and alcohol testing policy after they determined that the 1989 Exxon Valdez oil spill may have partly resulted from the captain’s alcohol abuse. The Ontario Court of Appeal determined that this policy infringed on the OHRC. Similarly Irving Pulp’s policy that a randomly selected 10% of employees submit to unannounced breathalyser testing over the course of a year was determined to be unethical due to a lack of evidence of a substance abuse problem. While inconsistencies among case law remain, it is nonetheless extremely difficult to implement random drug and alcohol testing, especially in unionized workplaces. Employers must demonstrate that testing is a legitimate requirement for the job. Sobriety must be demonstrably necessary to workplace safety. Policies must be centred on job performance. Zero tolerance policies are generally unacceptable because they do not distinguish between substance use and impairment. A small amount of alcohol in an employee’s system, for example, may have no impact on their performance. There must be evidence of a substance abuse problem. In this regard, factors such as location must be considered. An entire company should not undergo testing if it is identified that only a certain group or section of personnel appear to be using drugs or alcohol in a way that renders the workplace unsafe. Testing must assess current impairment. Tests like breathalysers and saliva swabs can be effective whereas there are limitations to urinalysis as one cannot determine if substance use is concurrent with work hours. Moreover, testing must be minimally intrusive and use maximally accurate methods. Practices must respect the dignity of employees. Testing should be respectful, confidential and never done to intimidate or humiliate. Even if all of the above circumstances have been met, it may still be necessary for an actual workplace accident or near-accident resulting from the impairment of an employee to implement drug and alcohol testing. Furthermore, employers must demonstrate that undue hardship would be experienced in order to accommodate an employee with a substance abuse problem. Accordingly, employers should have an exhaustive framework of policies – such as employee assistance programs that offer counselling and treatment – designed to help and accommodate employees with substance dependencies. 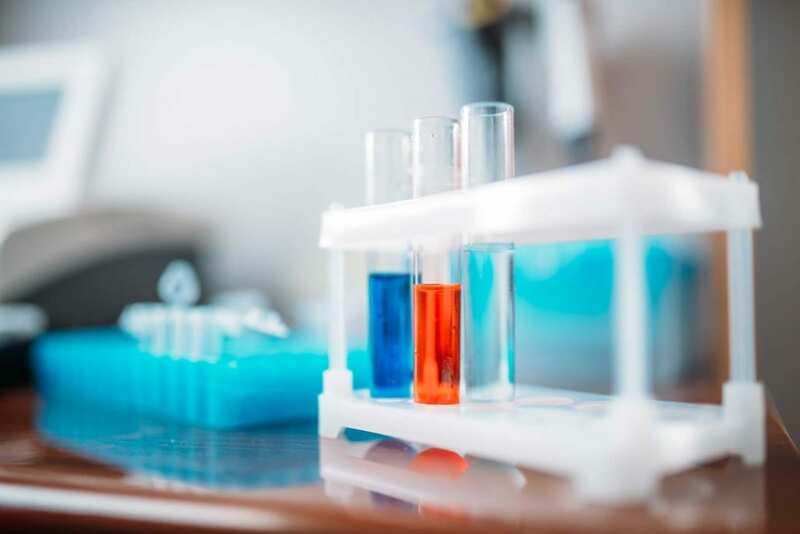 If drug and alcohol testing programs are deemed reasonably necessary and ethically acceptable, employers should develop a personalized method of assessment and accommodation for affected employees. 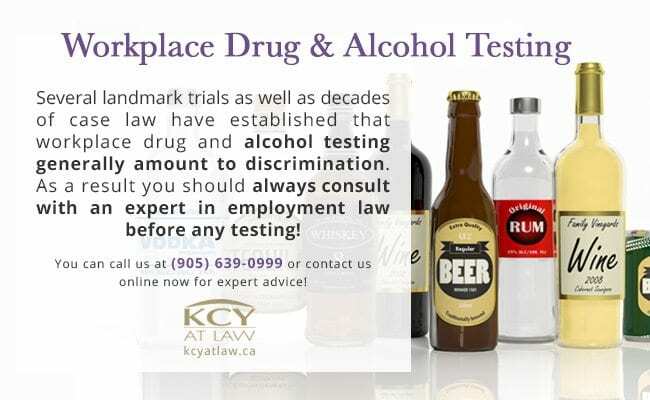 If you have been discriminated against for substance dependency or you suspect one of your employees to be endangering the work environment because of drug or alcohol addiction, call KCY at LAW to speak with an experienced employment lawyer who can advise you of your rights and responsibilities under the Ontario Human Rights Code. You can reach us at (905) 639-0999 or contact us online now for expert advice! Dos and Don’ts After a Motor Vehicle Accident Distracted Driving: The New DUI?